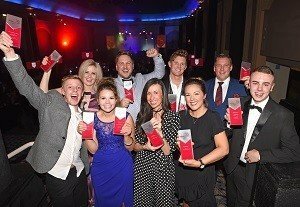 The Sub36 Awards honour the most influential, innovative and inspiring business people aged sub36 in Lancashire. The awards evening is a celebration of those beginning to carve their careers, moving up the ranks or already at the top of their game, using their youthful vision to bring ideas that positively disrupt their sectors. The event brings together those that have been involved with Sub36 throughout 2019 - the awards finalists, sponsors, judges and guests who have a strong commitment to supporting the future of Lancashire's businesses. The format of the evening is unique and maximises the opportunity for guests to network and share their stories with the drinks reception followed by networking and street food.